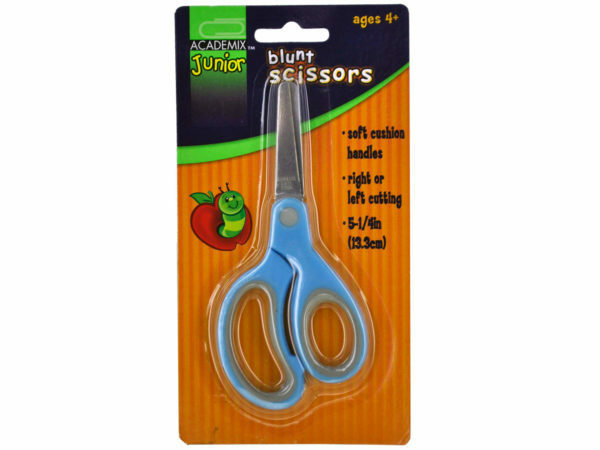 Perfect for school and crafts and designed especially for kids' small hands, these Blunt Tip Scissors feature soft cushion, easy-grip handles. 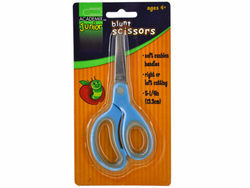 They can be used for right and left hands. Measures approximately 5.25" long. Comes in assorted colors. For ages 6 and up. Comes packaged in a blister pack.